This easy-to-use punch makes holes from pin-point size up to 1/8" in tin or light metals, such as tooling foils. 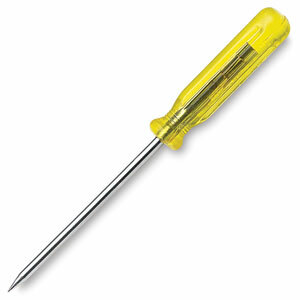 It has a sturdy plastic screwdriver handle. Overall length is 4½". Note — We recommend at least 2 layers of corrugated cardboard be placed underneath the material to be punched.